Many people today are quick to spout off bold claims that there is no way in which it can be said that the Bible really did come from God. In fact, they even imply that anyone who believes this is acting like a person who is mentally inept. However, it is the skeptic whose mental capacities need to be challenged because they refuse to look at the evidence that clearly reveals how the Bible Really Did Come from God. Therefore, this study, Did the Bible Really Come from God? 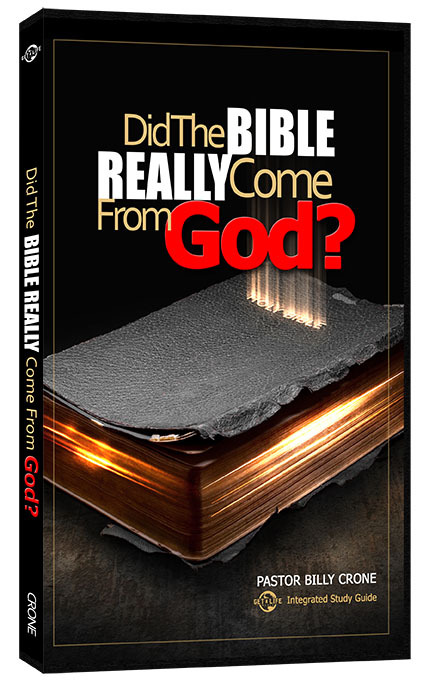 shares the 10 lines of solid logical evidence that proves how the Bible really did come from God and is unlike any other book on the planet. Such evidences include, The Bible says so, Jesus says so, The Apostles say so, The Early Church and Church History say so, Transmission Standards say so, Manuscript Data says so, Archaeology says so, Predictive Prophecy says so, Science says so, and The Nature and Scope of Data says so. As you will see in this study, there is overwhelming evidence showing how there really is no need to doubt that the Bible did come from God, let alone cave into the false claims of the critic. Contrary to what society would say, yes, we can know for sure Christian that what we hold in our hands is indeed the Genuine Word of God!